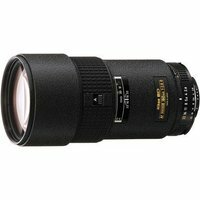 The Nikon 180mm f2.8 lens is ideal for sports, action or news photography. Features Nikon Internal Focusing technology - elements inside the barrel adjust, without requiring an extension of the barrel. Nikon Extra-Low Dispersion (ED) glass assures superb sharpness and image quality. Accepts 72mm filters. Built-in lens hood.